 NIGHT WATCH SECURITY SERVICES LTD recognises that its employees are its most important asset and it is committed to providing the support and assistance necessary to enable them to undertake their job duties in an environment that is as stress-free as possible. NIGHT WATCH SECURITY SERVICES LTD’s aim is to ensure employees’ health and safety at work and that they are not subjected to excessive workloads, onerous working practices or a detrimental work environment. Employees who have high stress levels are more likely to work inefficiently, behave erratically, have low morale and be absent from work. Work performance will then suffer. NIGHT WATCH SECURITY SERVICES LTD is committed to providing a support system to help minimise and alleviate stress in the workplace. It is NIGHT WATCH SECURITY SERVICES LTD’s intention to deal constructively and sympathetically with stress. Stress will not be treated as a sign of weakness. If you feel that your work performance or your health is suffering because of stress-related matters, whether those matters are occurring outside the workplace or within the work environment, you should raise this with your line manager in the first instance. Your line manager will arrange a meeting with you to discuss the matter with a view to taking the appropriate steps to remove the cause of the stress or to assist you to deal with it. This may include evaluating the amount and complexity of your workload, your work environment and/or referring the matter to a more senior manager who may be in a better position to provide guidance and to take the appropriate steps to assist. Alternatively, if your stress is, in your view, entirely work-related, you may if you prefer invoke NIGHT WATCH SECURITY SERVICES LTD’s grievance procedure or you may make a complaint under NIGHT WATCH SECURITY SERVICES LTD’s equal opportunities policy. NIGHT WATCH SECURITY SERVICES LTD also provides professional stress counseling with independent, trained counselors through an external advice help line. This is an entirely confidential service and any discussions an employee has with a stress counselor will be strictly confidential unless the employee agrees otherwise. All employees are encouraged to make use of this service if they are feeling stressed for whatever reason. They will be able to obtain advice concerning their condition, the causes of it and appropriate action that might be taken to assist them. For further information, please contact (name). Employees are also free to seek help themselves from their own doctor or counselor. However, please note that if you do not tell NIGHT WATCH SECURITY SERVICES LTD you are suffering from stress and unable to cope or if we are unaware that you have a particular problem or vulnerability, we will not be in a position to help you.